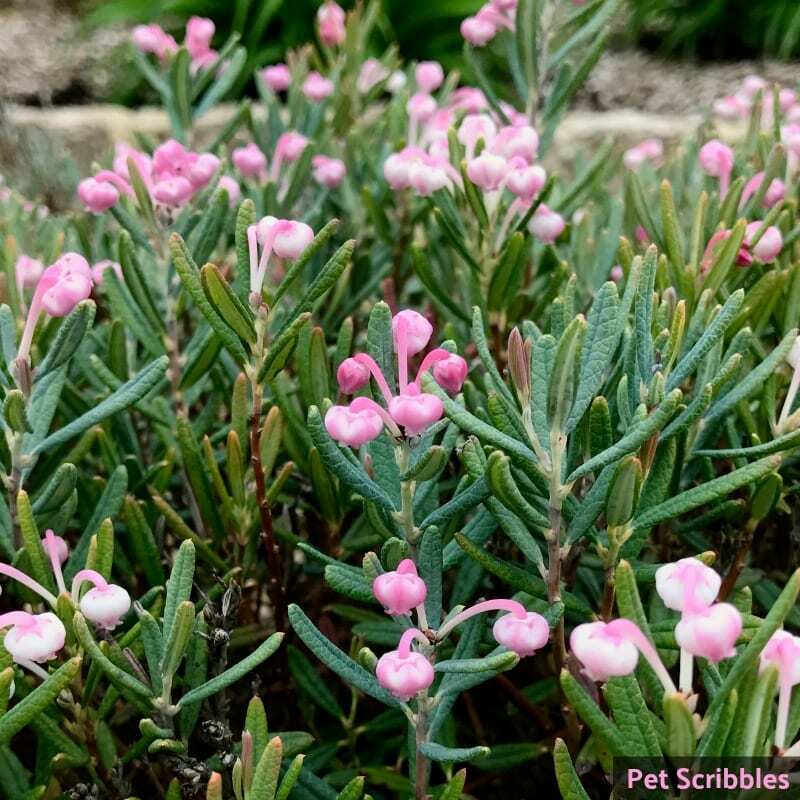 Bog Rosemary is the perfect little plant for the wet spots in your landscape, because it’s small, evergreen, and covered in pink flowers every Spring. 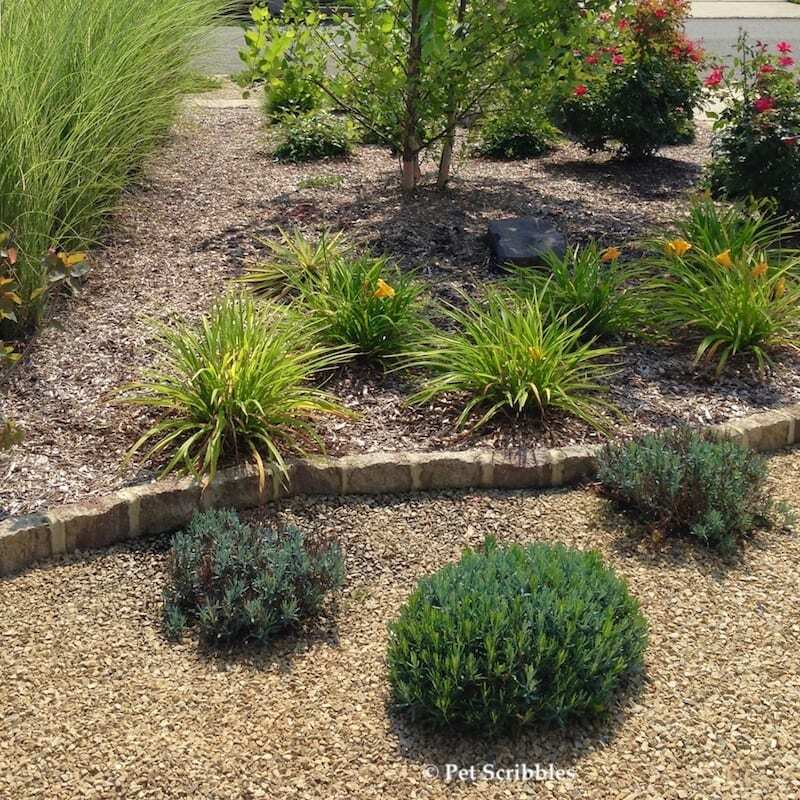 Here’s my own trial and error with this perennial shrublet. 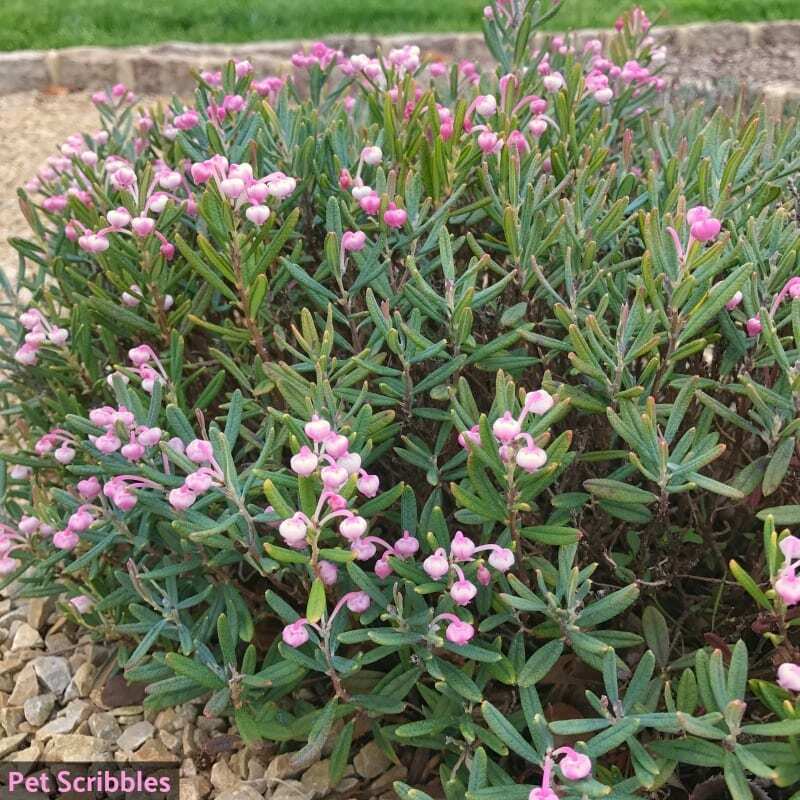 Bog Rosemary literally grows best in boggy areas of your garden, so think about those low, wet spots or an area that is constantly moist. 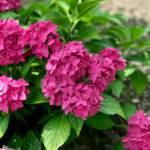 Trust me, if you don’t plant it in a moist enough spot, these plants will let you know. But first — a note of caution! 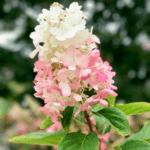 Caution: this plant is known to be poisonous if ingested. 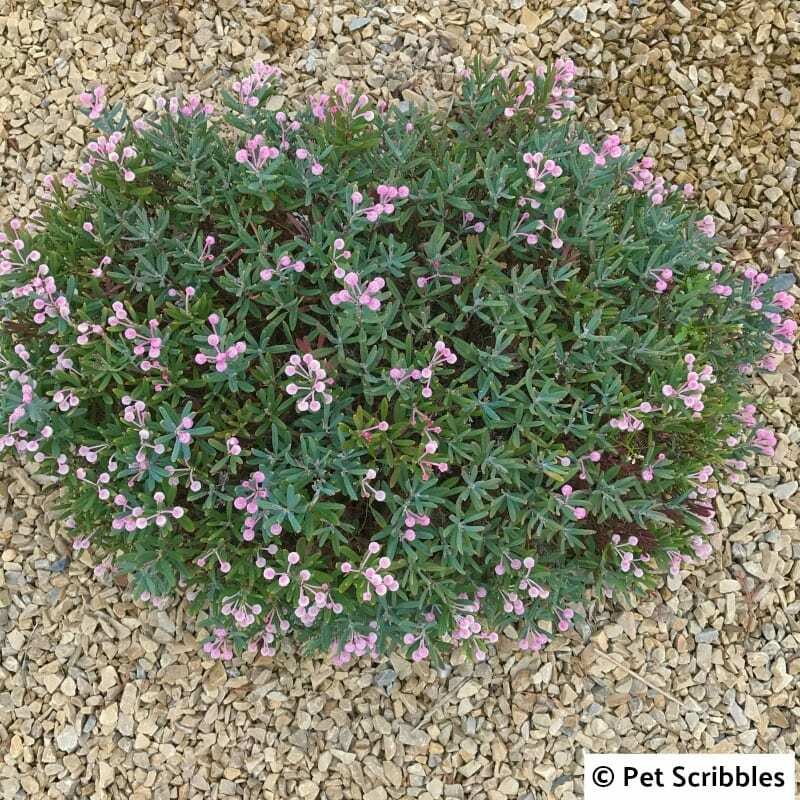 That’s a major difference between Bog Rosemary and the edible herb Rosemary! 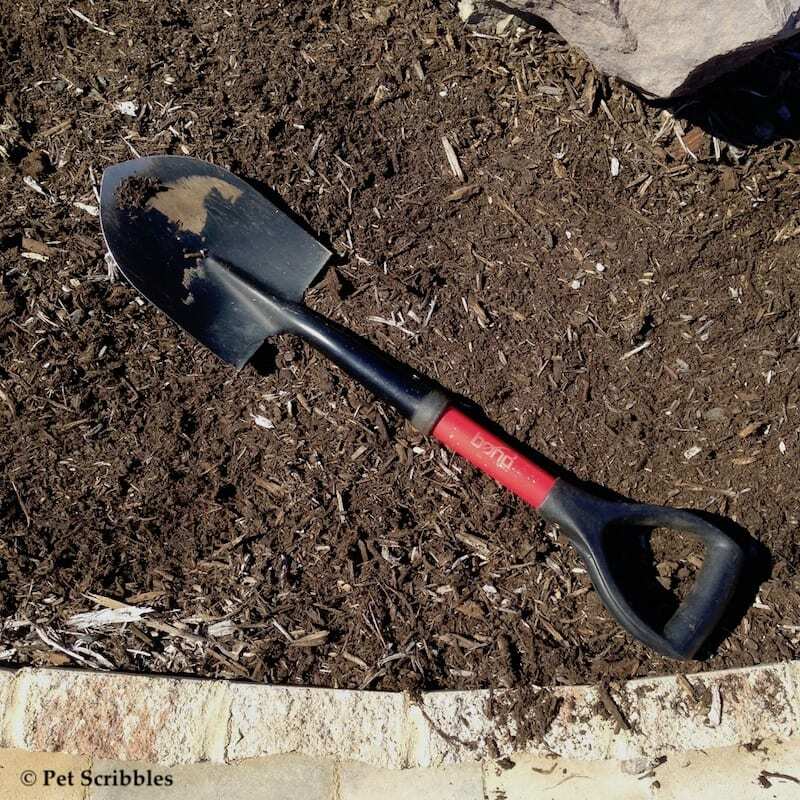 I always use garden gloves when I’m planting and doing garden chores so I don’t have to worry about getting any allergic reactions to plants in general. Please use caution if you have children or pets that might not understand they shouldn’t eat this plant. 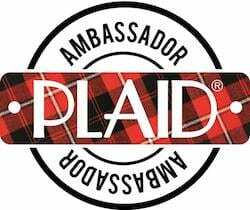 Personally, I have not always seen this mentioned on plant tags or descriptions, so I want to make sure you’re aware! 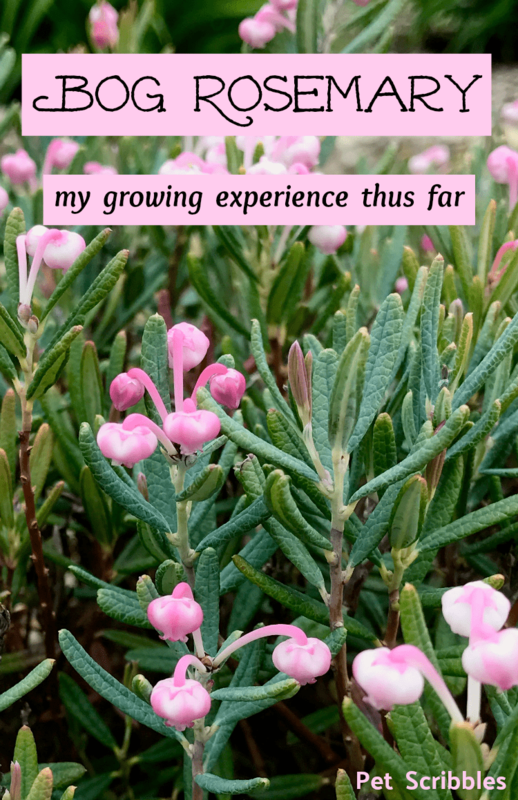 Why is it called Bog Rosemary – Andromeda Polifolia? The scientific name — Andromeda Polifolia — came about when this plant was first seen by Carl Linnaeus in his 1732 trek through Lapland. 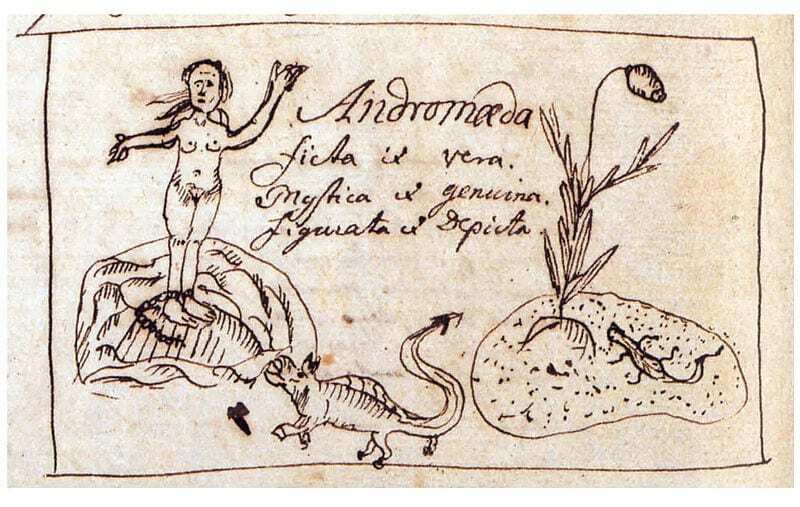 Linnaeus thought the plant was as beautiful as the mythical goddess Andromeda. 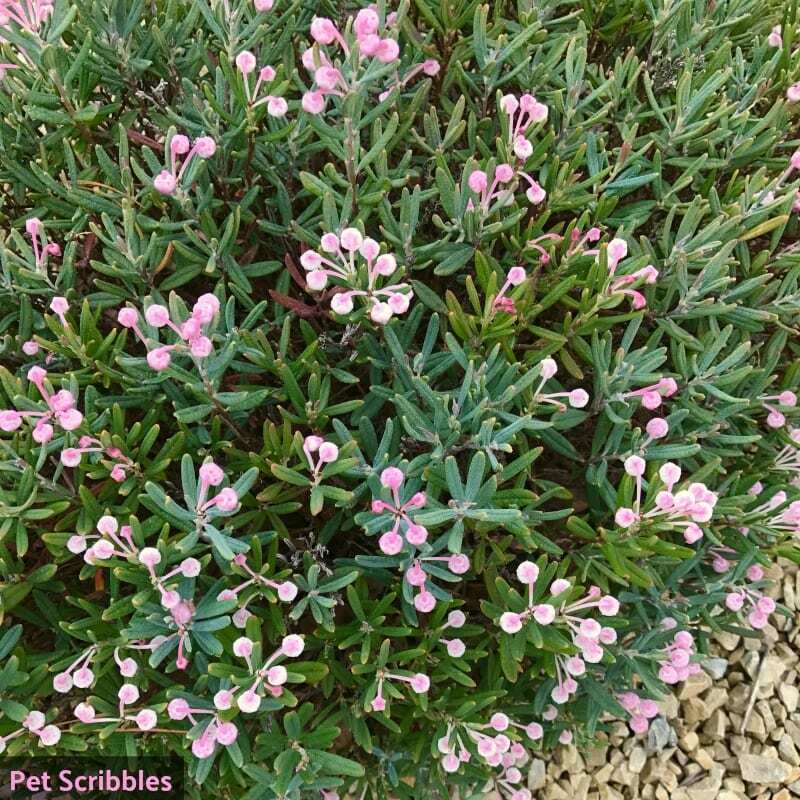 The common name — Bog Rosemary — is because its leaves resemble the leaves of the edible herb plant Rosemary. Of course it grows in soggy, boggy soil, thus the word “bog” is part of the name. 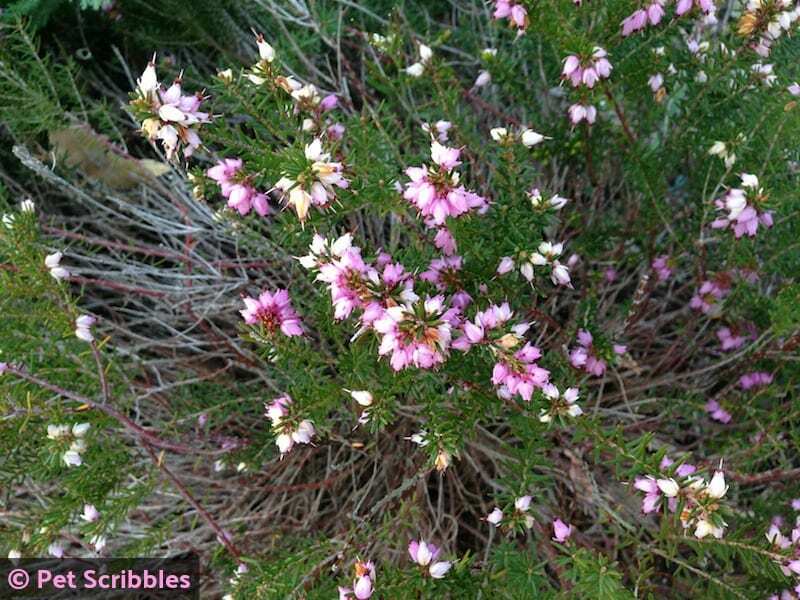 Bog Rosemary is part of the Ericaceae family of plants, which includes heath, heather, rhododendron, azalea, and blueberry shrubs. *I’ve also seen “shade” listed occasionally, instead of partial to full sun. 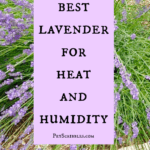 Again, I think the more important need is constant moisture. 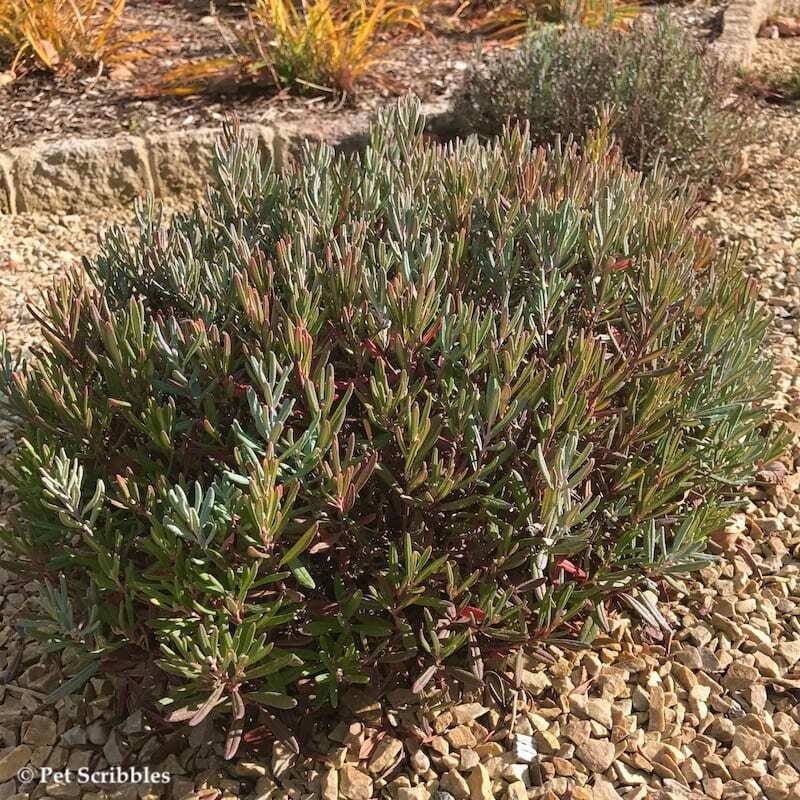 So if you’re planting Bog Rosemary in full sun, make sure they are in a spot that doesn’t dry out. 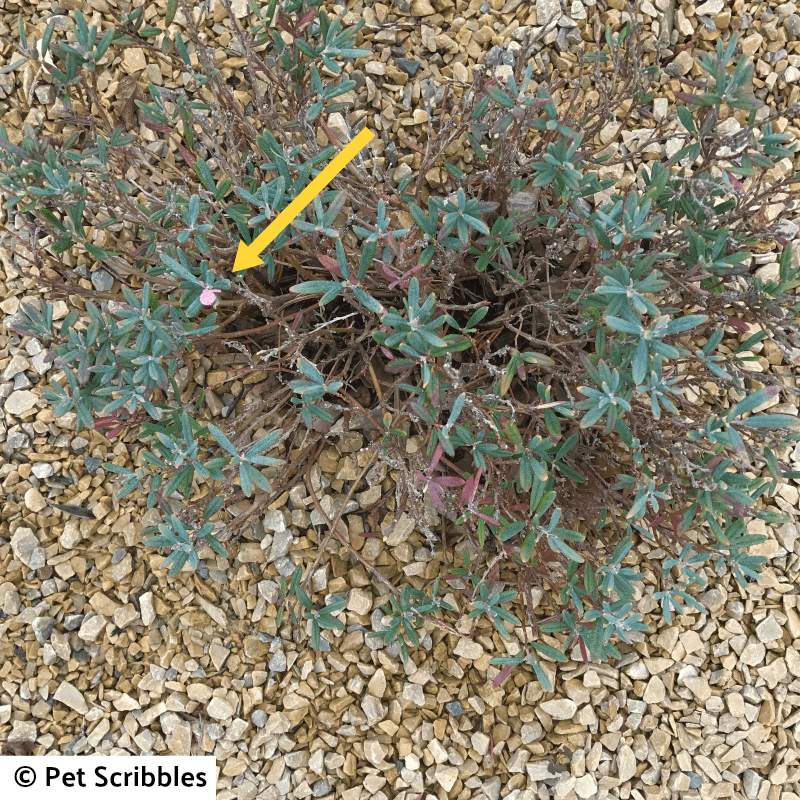 The most commonly sold type of Bog Rosemary is Blue Ice. 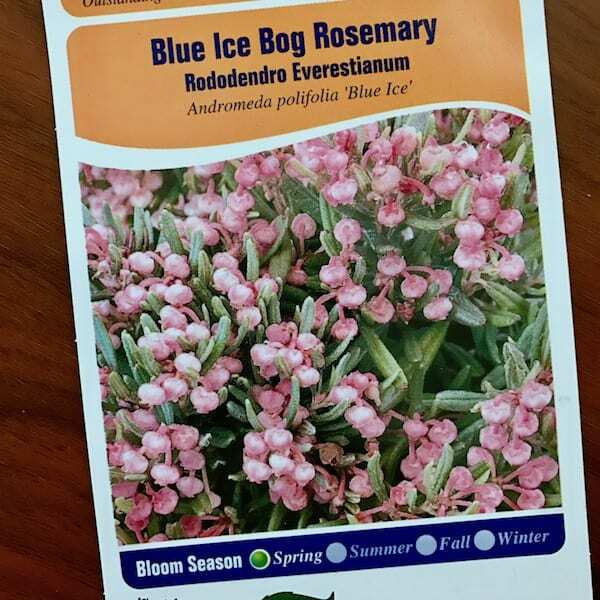 In fact, Blue Ice was on the plant tag of the Bog Rosemary plants I purchased. 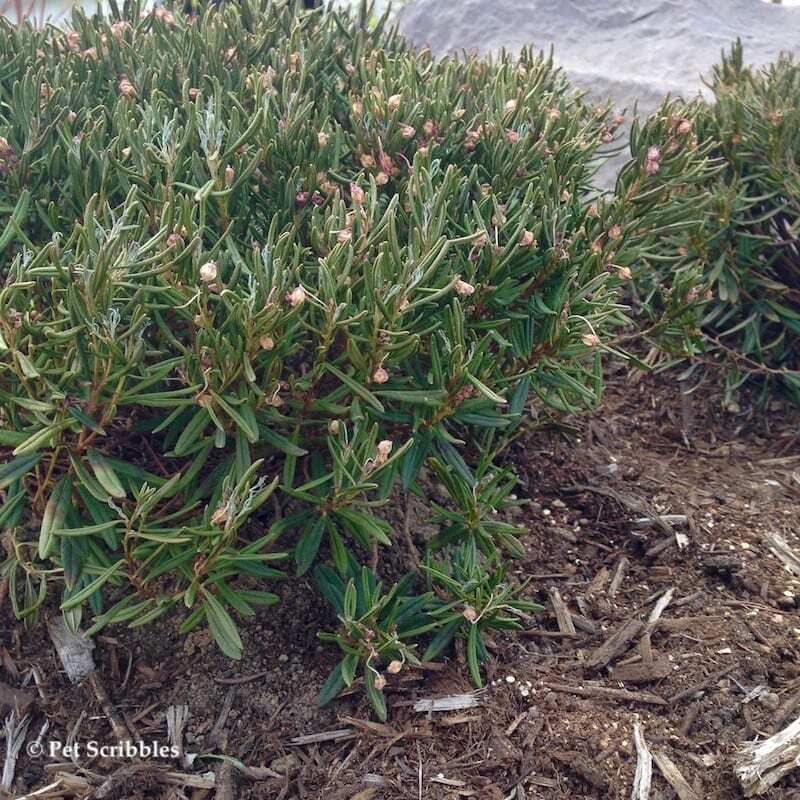 When searching on the interwebs, it appears that almost everyone says Bog Rosemary grows well in USDA Zones 2 through 6. 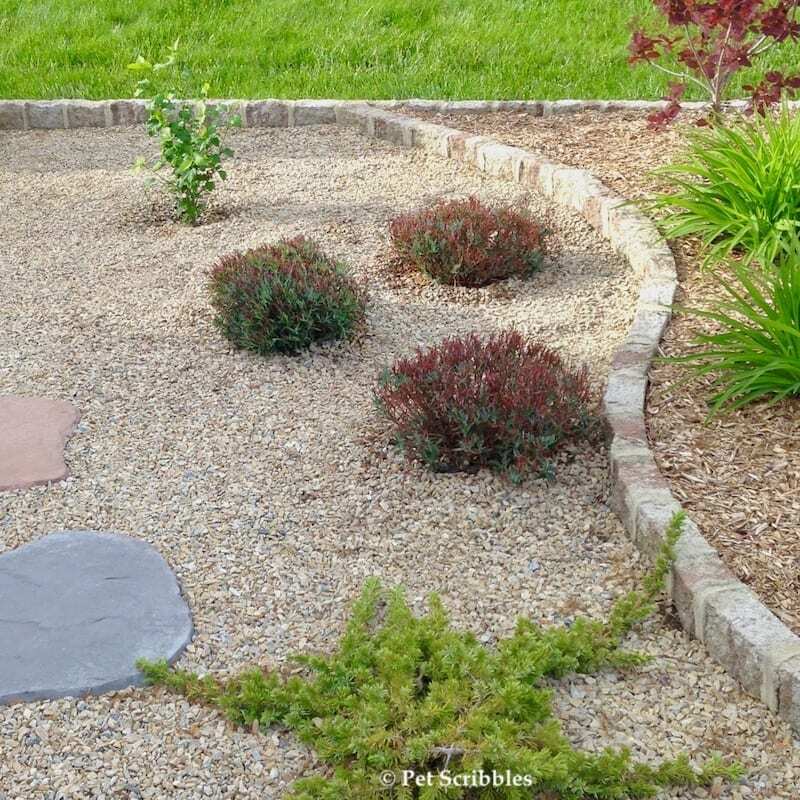 I purchased these plants living here at the New Jersey shore, in Zone 7b, and it grows fine in this zone too. I also found one site that listed USDA Zones 2 through 9. It makes me wonder if everyone just copied the “zones 2 through 6” information onto their own pages about this plant. 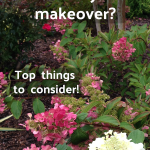 Ask your local garden nursery if Bog Rosemary will grow in your area, if you’re unsure. 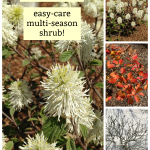 I had first read about these plants when doing research for shrubs that can handle a lot of moisture. 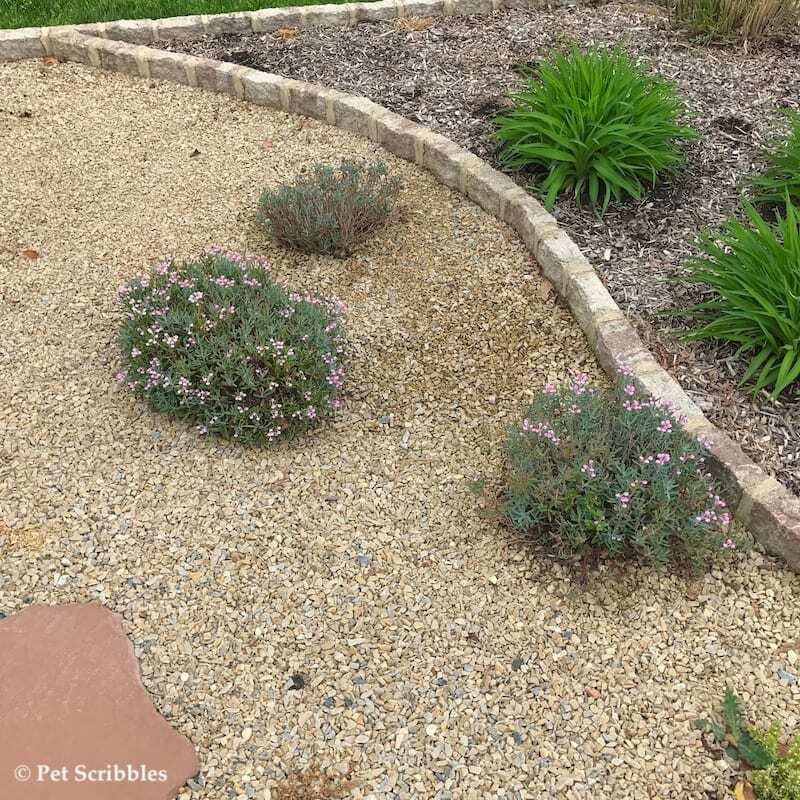 Having never heard of them until my research, I got a kick out of something resembling Rosemary yet needing a ton of water — unlike the Rosemary herb which prefers to live in a drier soil environment. 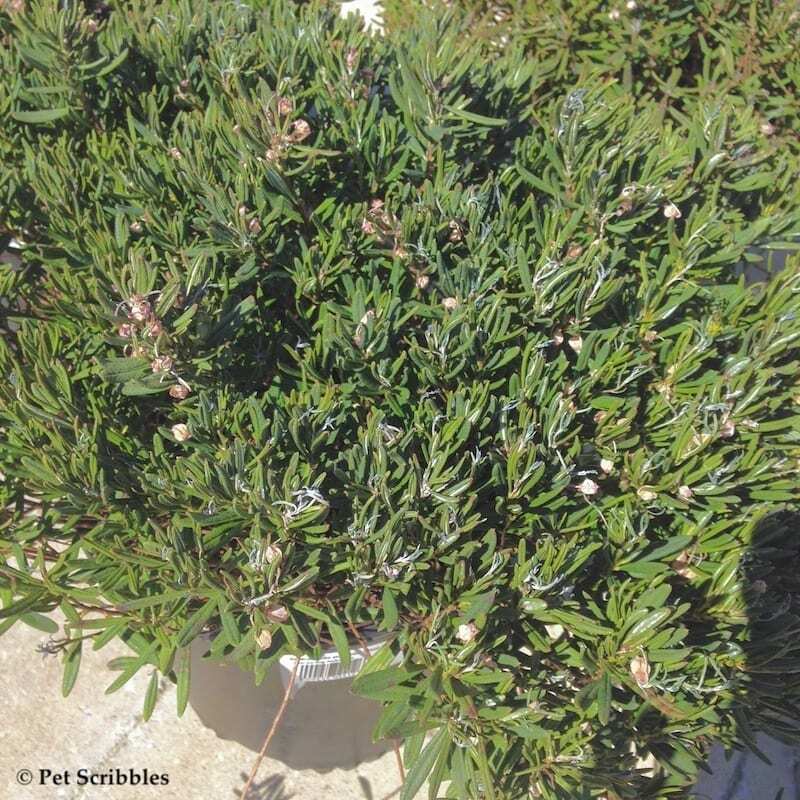 And Bog Rosemary was referred to as a shrublet. How cute is that? On a trip to the home improvement store several weeks later, I was stopped in my tracks when I saw tons of Bog Rosemary plants for sale! After my husband sort-of patiently listened to me try and explain through my excitement why we needed these plants for our garden — and how the future of our garden hung in the balance unless we got these plants — we bought three of them. Yes, I get totally excited about plants. I admit it. I was so ready with my answer this time. 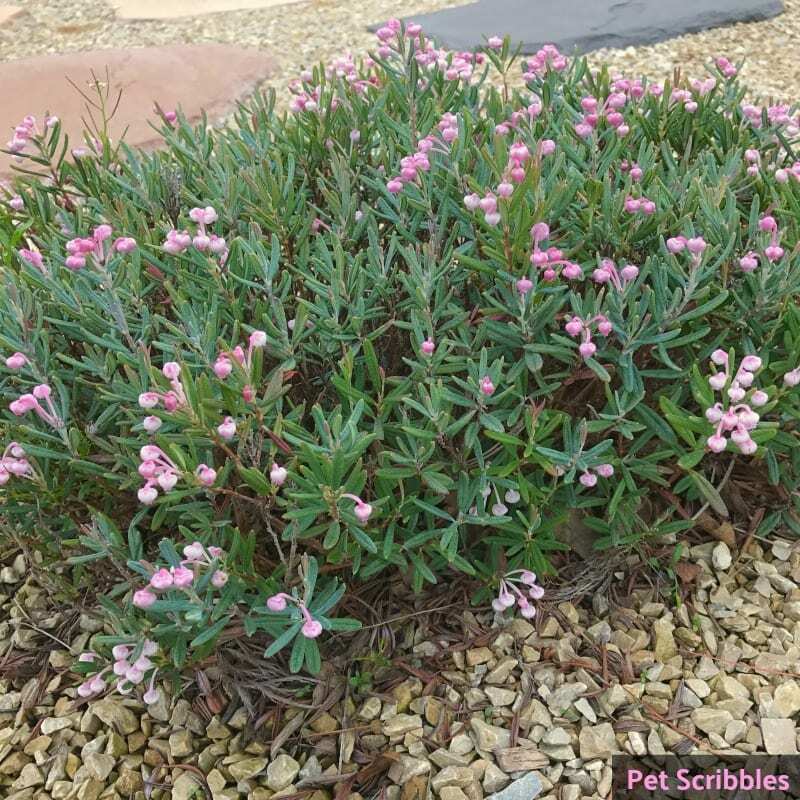 We would plant the Bog Rosemary in one of our front beds, near where there was a bit of a drainage problem and it tended to stay moist in that area. I was so happy! 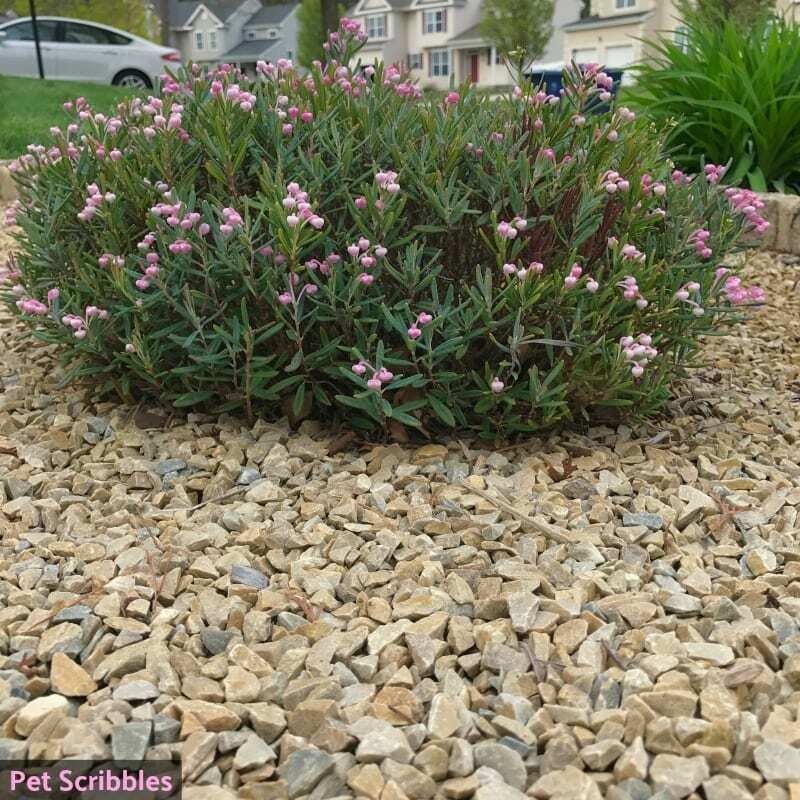 I knew these plants would look great near the street and be very showy the following Spring with their mounds of tiny pink flowers! Below, newly planted, they are just past their blooming time, but the dying blooms gave me a hint of their splendor. 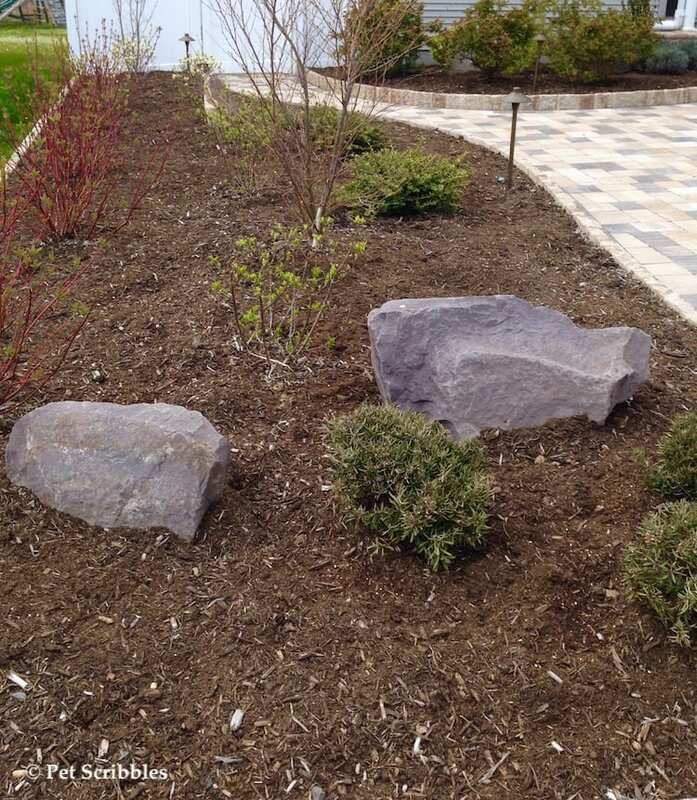 Our new landscaping was still very young, so you can see in the early Spring of 2016, everything was little: the red twig dogwoods, the barely noticeable river birch tree, the limelight hydrangeas. The boulders looked like the best things growing at that point! 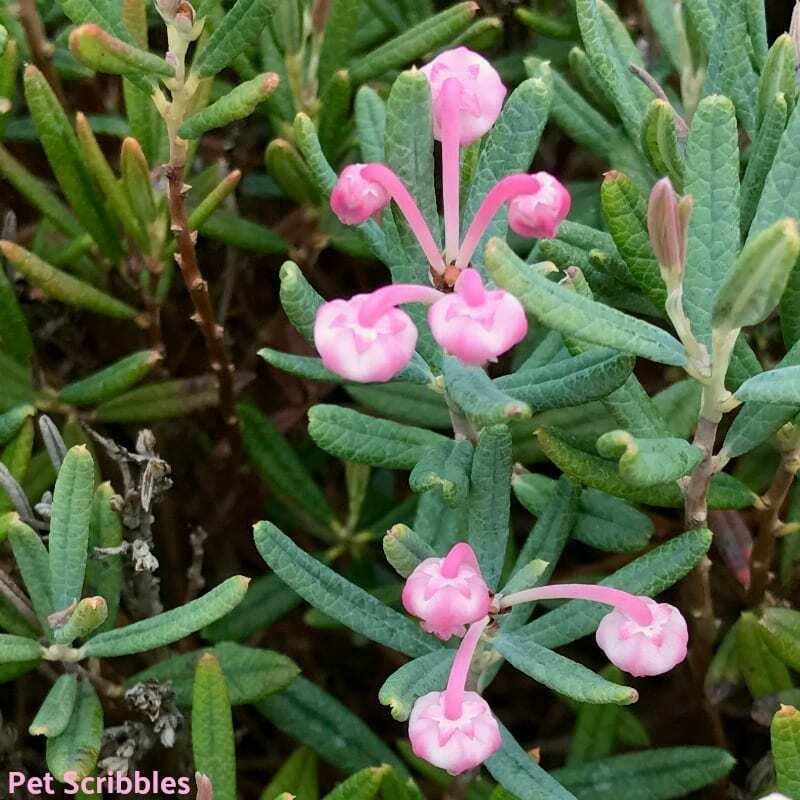 The Bog Rosemary was a little past its peak blooming time as I mentioned above — and as you can see in these photos — but you can also see the lovely blue-green foliage that truly looks like it belongs on a Rosemary herb plant! 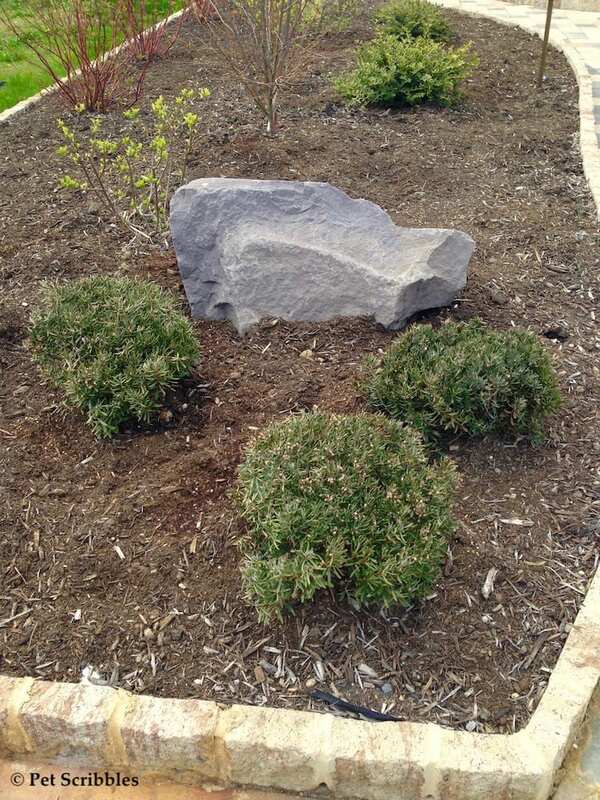 As the weeks went on, we noticed these plants weren’t completely thrilled with their location. In fact, they seemed to be gasping for water, no matter how much rain fell, and no matter how much we watered them. They barely survived one month in that spot, before I knew we needed to transplant them. It was a gardening emergency! 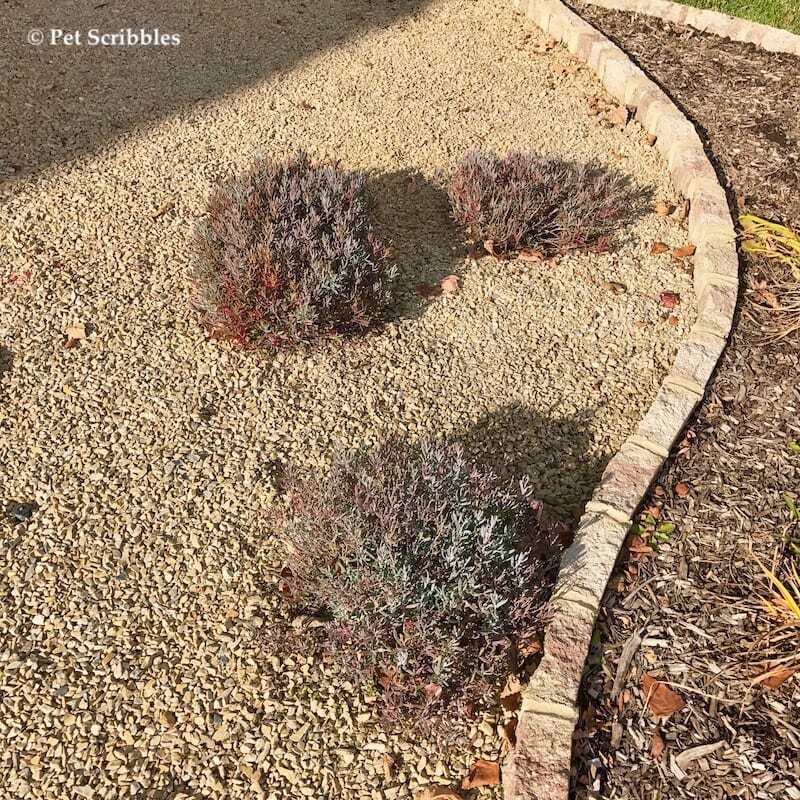 In the image above you see the groundcover junipers that the landscaper had planted, looking rather sickly as they couldn’t handle that much water. Yuck, right? 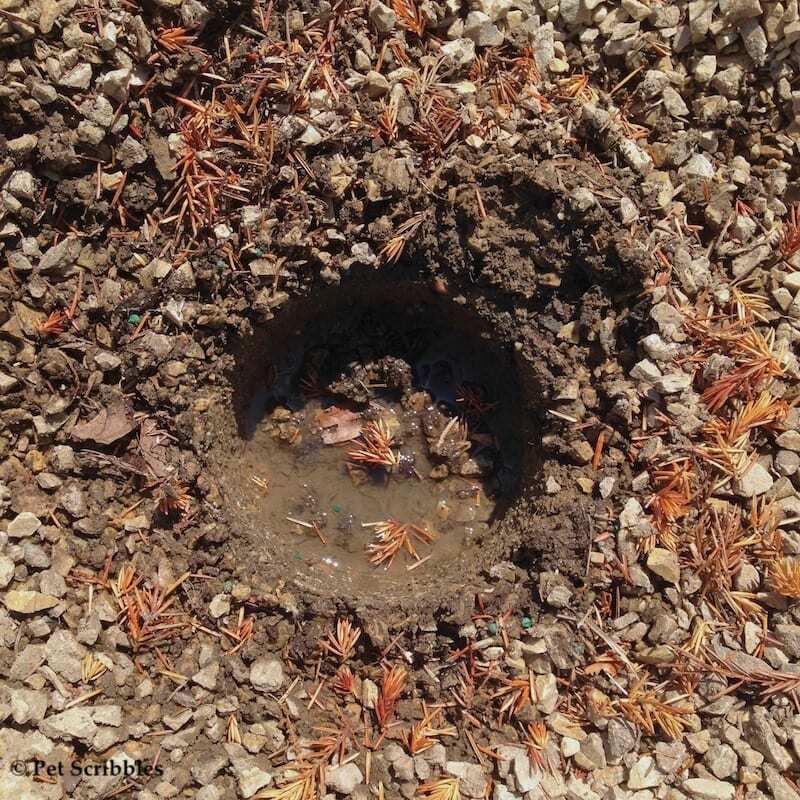 That perfect hole is what was left when we pulled out the slurpy mess of juniper and weak roots. It had barely been surviving. 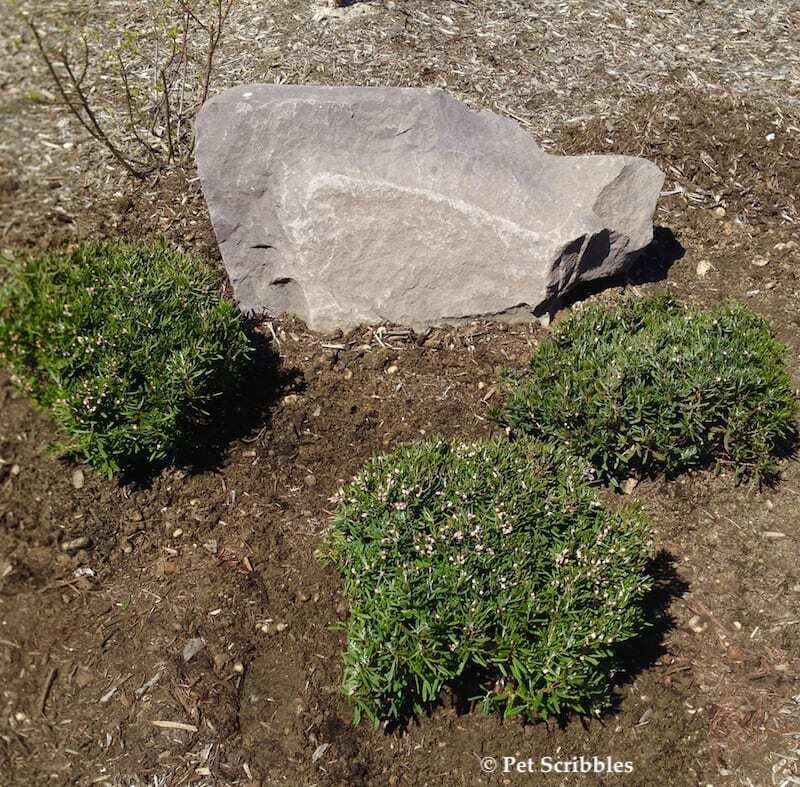 Here’s the same area, once we transplanted the Bog Rosemary into their new — and hopefully permanent — home. You can see how much of the plants had died for lack of enough water in just one month. Crazy, right? We also planted a specific variety of Rose of Sharon that supposedly thrives in wet soil, which is visible in the back to the left of the Bog Rosemary. 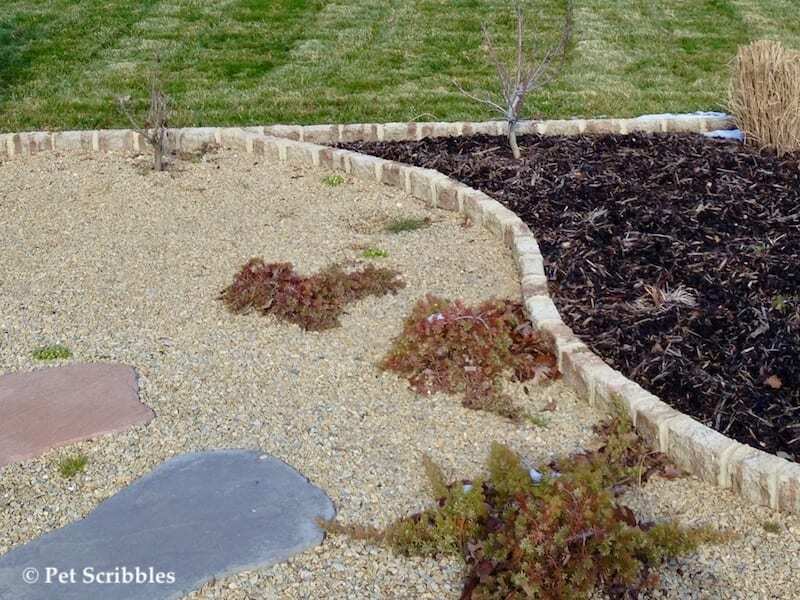 Spoiler alert: the Rose of Sharon did not thrive, let alone survive, in that wet soil. And I still don’t want to talk about it. Throughout the Summer, the Bog Rosemary seemed fine with their location, especially the one in the middle, below. By the Fall — November 2016 — our little shrublets had somewhat rebounded with new growth and I felt they’d be fairly evergreen (keeping their color) over the Winter season. Not looking great, but definitely surviving their near-death experience. Oh be still my heart at how gorgeous these plants looked last Spring, covered with tiny pink flowers! Two out of three looked good. Look closely and you’ll see one blossom! There was hope! The next two images show you the height from the ground up — literally! 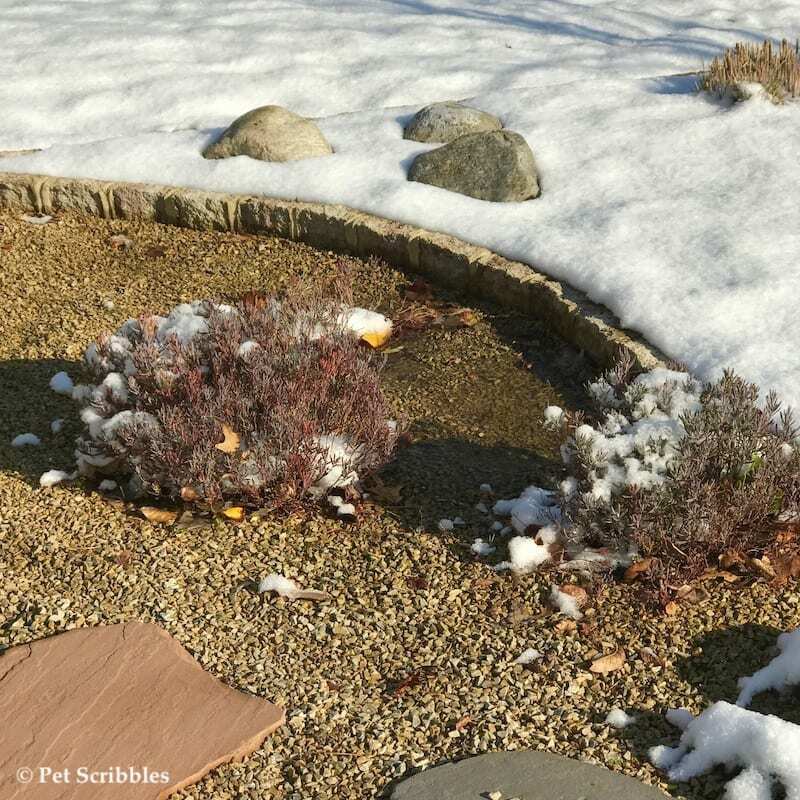 The leaves turn a little pale and a little purple during the Winter months. Yes, that’s a standing puddle there. 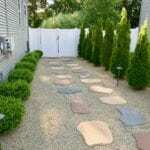 This season, I’ll continue amending the soil a bit to see if I can fix this area. The drainage stinks because it’s all clay, and you need a pickax to try and break it all up. In the meantime, I’ll stare at our pretty pictures from last year and try to patiently await the arrival of Spring! And yes, I plan to purchase more of these adorable little shrublets to add to this area! Bottom line? 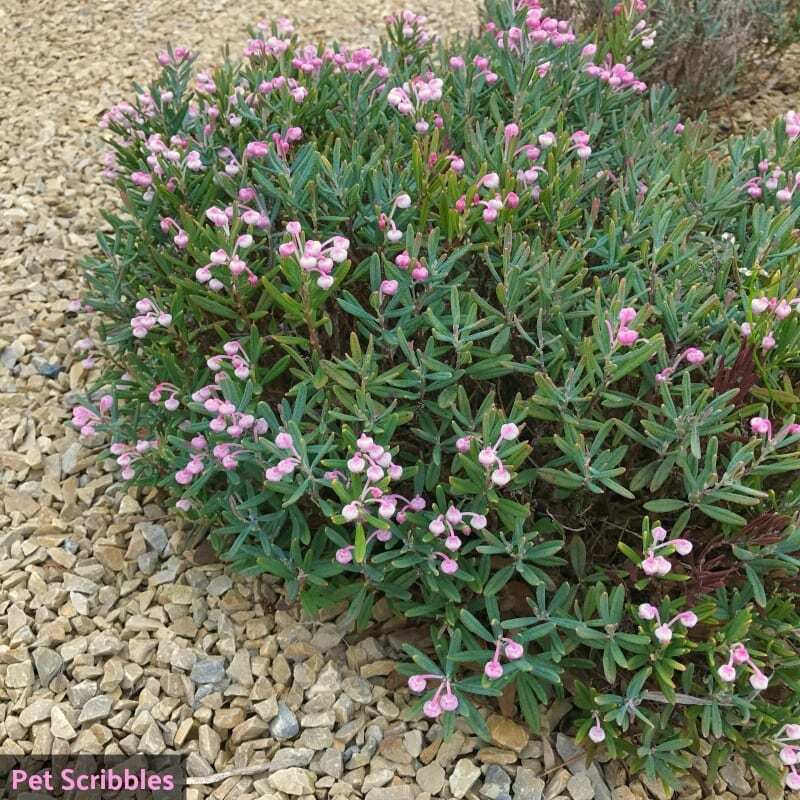 If you’ve got wet spots, try growing Bog Rosemary there! 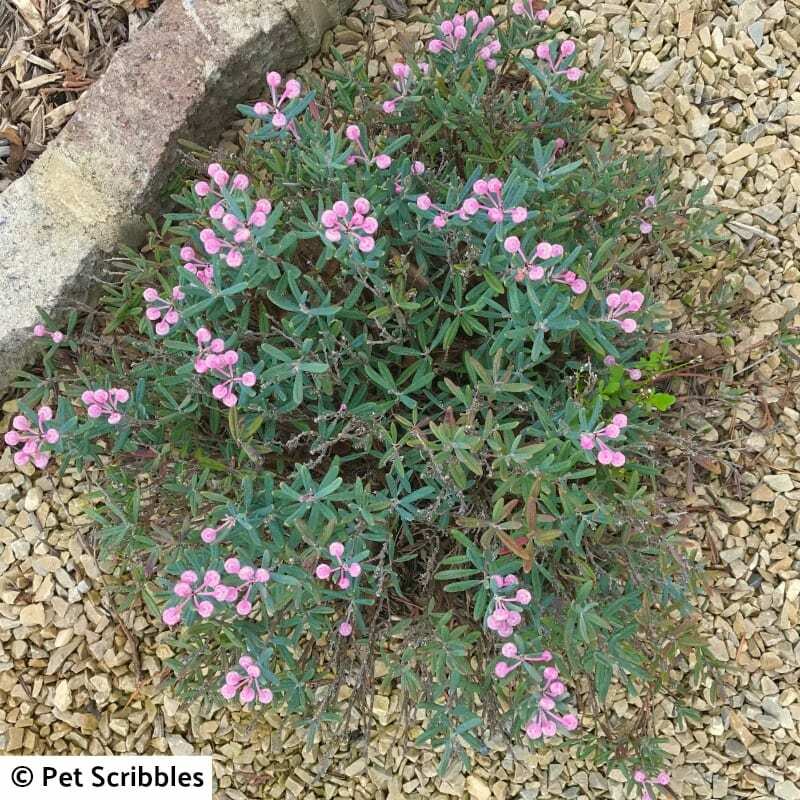 My own experiment with a Bog Rosemary has come to an end after it was eaten over the winter down to the ground. I understood this was a poisonous plant but the same animal got this and my Little Gem Spruce. AS far as I am aware these are being eaten by rabbits, along with my Yuccas. Has anybody else had similar problems? Thanks for your feedback, Julian. We have rabbits around as well, but fortunately they aren’t eating our Bog Rosemary or our Yucca plants. I’m amazed there are animals that would want to eat this. I’ve heard of deer eating just about anything if they’re hungry enough, but had not heard of rabbits eating this plant before. I’m sorry that happened to yours, and am interested as well if this has happened to anyone else with this plant.